The Diplomat is Euroscreen’s best-selling projection screen with its white aluminium cassette and channel-fixed installation. This makes it one of the market’s most flexible and easy screens to install. Thanks to its functional and comprehensive design the Diplomat is suitable for any environment; conference rooms, education facilities and home theatres. 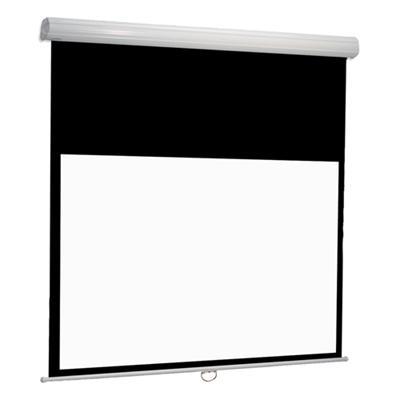 Get the best functionality out of the manual projection screen and at the same time preserve the mechanism and function for years and years by upgrading to the Soft&Quiet feature. The Soft&Quiet feature is a reliable and strong roller mechanism that slowly and smoothly retracts the screen surface into the case, slowing even more as it approaches its upper limit.